Introducing the Scott Living mattress collection by Restonic! Shop these great new models in our showrooms and get a special in-store offer...and check out our deals on Tempur-Pedic, iComfort, Tommy Bahama and more! 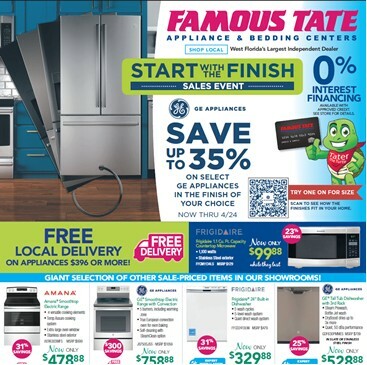 Start with the Finish savings event on GE Appliances! Save up to 35% on the most popular models, including kitchen & laundry products! 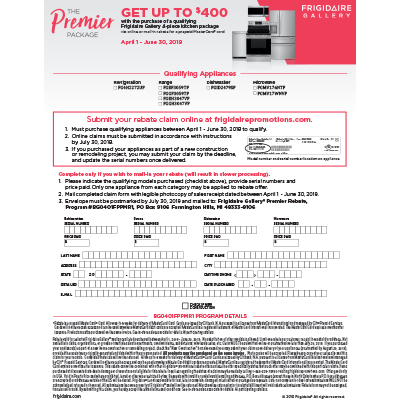 Get up to $400 with the purchase of a qualifying Frigidaire Gallery 4-piece kitchen package! 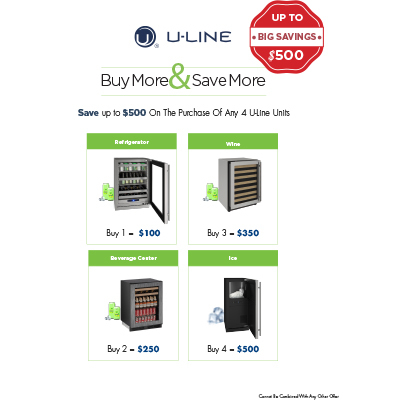 Save up to $500 on the purchase of any 4 U-Line units! For Peoples Gas customers, there are many great rebates available when you replace or install a new natural gas range or dryer. For actual amounts, visit http://peoplesgas.com/residential/conserveandsave/rebates/. To see if natural gas is available in your area, visit http://peoplesgas.com/enjoy/.